Christianity came to Iceland a little over 1,000 years ago, but before that happened, churches like this would have been filled with worshippers of Thor, Odin, Frigg, and other Norse gods. 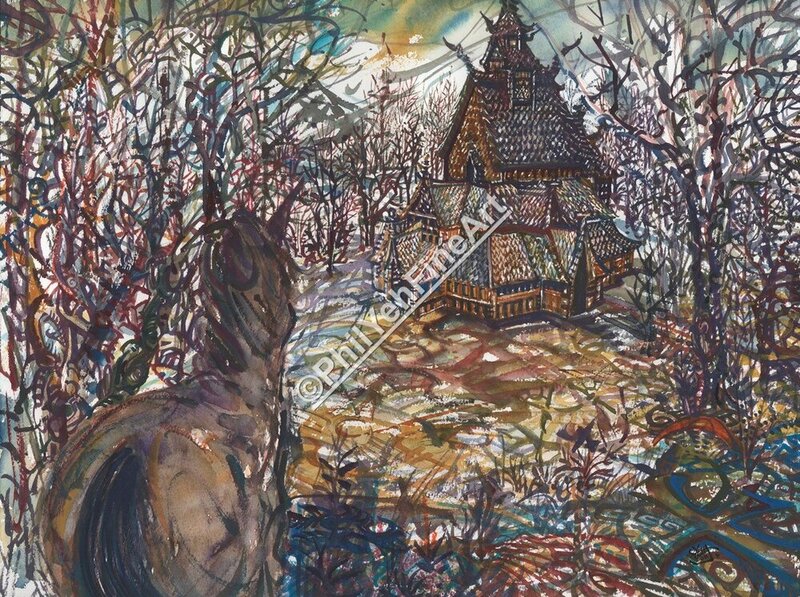 A recent resurgence has brought this ancient religion back into the light recently, represented here by a horse (a prevalent symbol of Nordic mythology) coming upon a Nordic Church in the forest. During Queen Victoria's reign the world went through great changes, including possibly the greatest change of all time, The Industrial Revolution. With more people working than ever before, housing was needed. Many variations of the Victorian style have been made throughout history, here we see a very colorful, seaside Arts & Crafts-style home. A lovely piece no matter what type of architecture surrounds you. Bruges was a critical Belgian trading post for over 300 years, from the 12th to the 15th centuries. An important test bed for entrepreneurship and capitalism, Bruges served has a critical hub for commerce and trade before being overtaken by Antwerp in the 17th century. 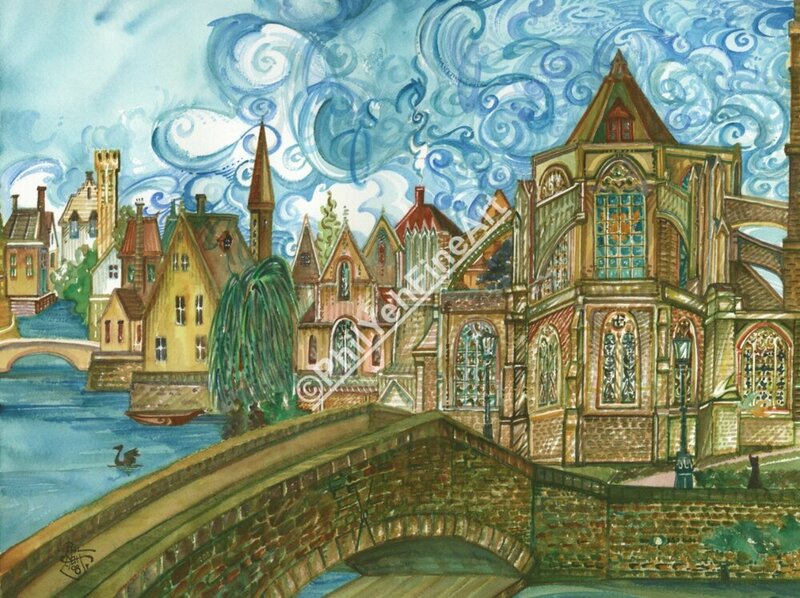 Bruges served as a thriving testament to the traders, weavers, and artists who settled there. Known for their lace work, it is easy to see why Phil's Belgian friend, Lieve Jerger, is so adept at creating her masterful copper lace creations.